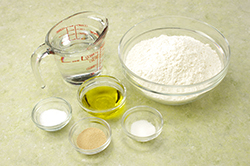 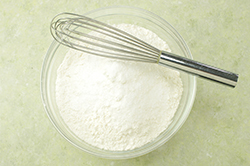 (1) PREPARE the bread dough as noted below. 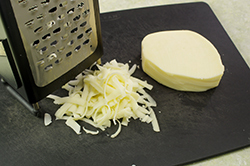 (3) LAYER one-half of the shredded cheese evenly across the rectangle leaving 1/2-inch along one edge in the clear. 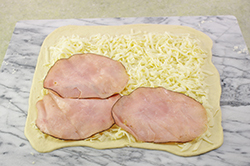 (4) ADD half the ham slices on top of the cheese in an even layer. 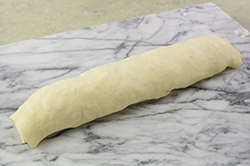 (5) ROLL the stromboli by starting along the long edge of the rectangle (opposite the clear edge). 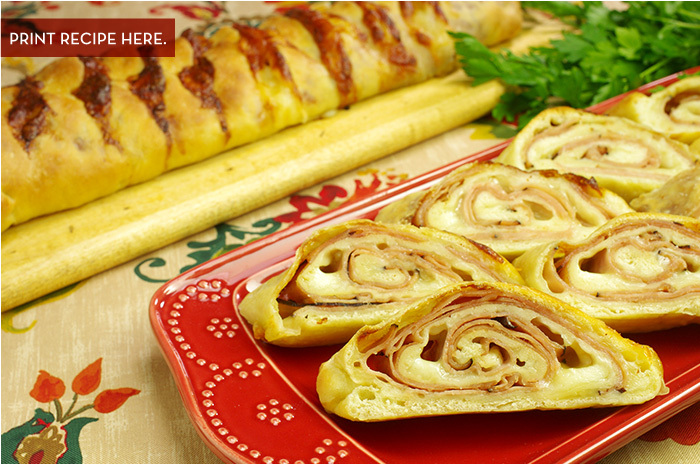 Roll tightly, jelly roll-style. 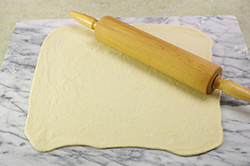 Transfer to a lined baking sheet, seam side down. 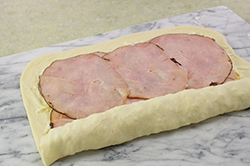 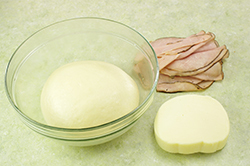 (6) REPEAT the process with the remaining halves of dough, cheese and ham. 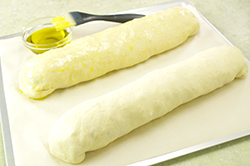 (7) BRUSH the top of the stromboli lightly with the egg wash. CUT deep slits at intervals along the stromboli for venting purposes. 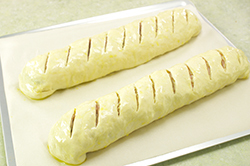 (8) BAKE in a pre-heated 400°F oven for 20-30 minutes, or until the crust is nicely golden brown. 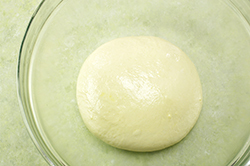 Let rest for 10 minutes to allow the cheese to set. 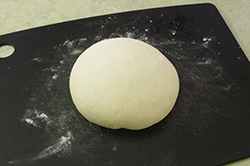 (9) SLICE the stromboli at an angle once cool enough to handle. 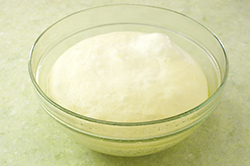 Also, delicious served at room temperature. 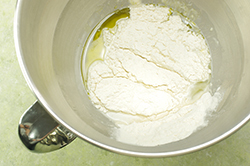 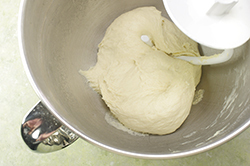 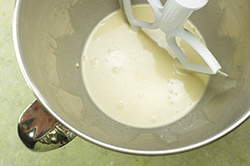 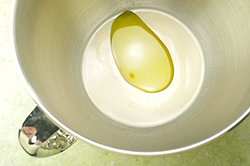 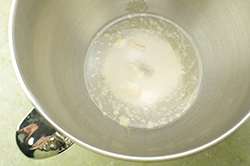 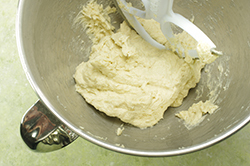 (7c) REMOVE the frozen dough from the freezer when ready to use and allow it to defrost and rise, about 1-2 hours depending on the amount of dough and the shape of the dough. 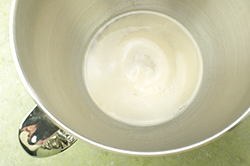 Continue as above.